Merry Everything and a Happy Always! It's time for the best time of year because we are bringing all of the wonderful things about autumn and winter inspiration in our Fall/Winter issue of the Tidewater and Tulle Journal! Filled with heart-squeezing love stories, getaway cravings, and helpful information, every tidbit you'll find in Issue N°3 has been curated to bring you some sparkle and celebrate love in its most beautiful forms. In celebration of Small Business Saturday/Cyber Monday, when you purchase a print edition of the Fall/Winter issue, you will receive the digital copy for free! So while you wait for your print version to arrive in your mailbox, you can snuggle up in bed with your sweetie and read away on your smartphone! HOW TO RECEIVE YOUR FREE DIGITAL COPY1. Purchase your print copy via Blurb. 3. Within one business day, you will receive your digital copy in the form of a .PDF! Offer expires on Saturday, December 1, 2018. Please email your receipt to the address above by 11:59pm EST on December 1, 2018 to receive your complimentary digital copy. If emailed on Saturday, you will receive your digital file on Monday, December 3, 2018 when we get back in the office. 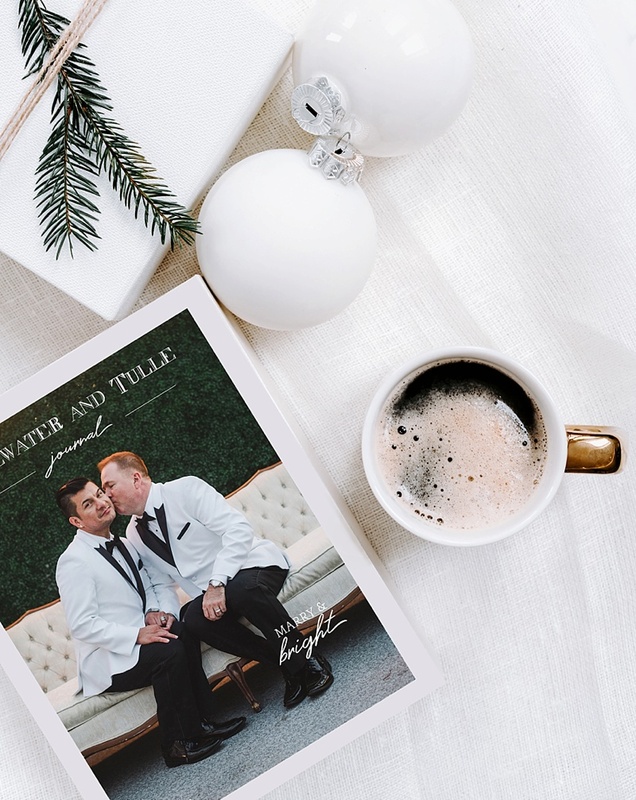 For $6.99 (digital) or $24.99 (print-on-demand), you will get inspired by the best parts about the (wedding) season: twinkling lights, romantic moments, and the coziest of love stories. To make it as user-friendly as possible, we use the Blurb platform to distribute our digital magazine. If you love the convenience of digital, then you can get the issue right away in your email with a click of a button! If you love the touch of paper and 'Grammable moments, then your printed issue will be made-to-order and shipped to you directly from Blurb. We love that there are different shipping options between 5-10 days depending on your patience and preference! To all of our readers, thank you so much for continuing to be part of our community, for your encouragement, and for sharing your stories with us. You are the inspiration behind what we do, and we're so grateful for that. Hope you swoon over our cozy-inspired Fall and Winter issue!